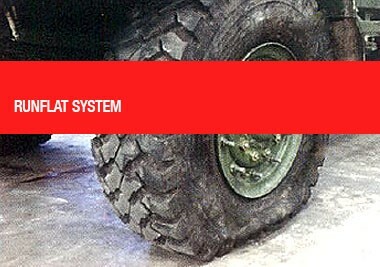 We have designed 4x4 Multi-purpose armour vehicle, First Win 4x4 (FW4x4). 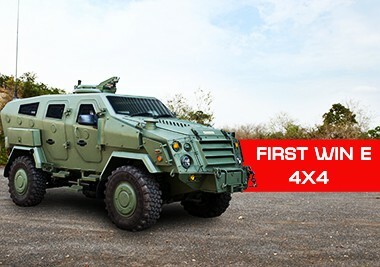 FW4x4 is non-chassis based vehicle. 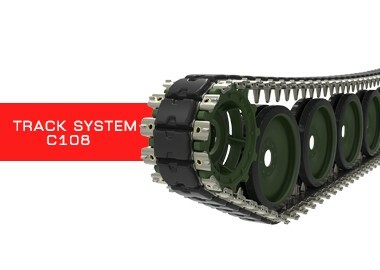 FW4x4 features an all welded armour steel V-shape monocoque hull. FW4x4 has high mobility, and high power to weigh with protection capable up to STANAG Lv3. The protection cover both engine and crew compartment. FW4x4 can equipped with 7.62 LMG / 0.50 MG / 40 AGP. It can be transported by airborne, C130, A400, Ro-Ro ship and standard rail way. FW4x4 has various variants eg APC with 10+1 seat, IFV, Ambulance, Reconnaissance and etc. In order to be adaptable to various user mission, FW4x4 has been designed to scale down to compensate the payload / protection / budget.